For cleaning and calibration of what crops is CAD separator used? CAD separator - is a unique, effective technology of cleaning and calibration of all known types of seeds of agricultural crops, ranging from small-seed herbs to the seeds of beans and pumpkin (grain, cereal, leguminous crops, technical and oil-bearing crops and grass seed) from weed and grain impurities. Grain is not damaged and has a high degree of purification from the light, large and small weed and grain, organic, mineral and other impurities that are hard to remove. What is separation according to the biological value of grain? The separator uses innovative patented method based on principles of pneumatic automation and fluidics, which makes it possible to separate grain according to the weight, with a high accuracy. This lets CAD separator to pick out grain that was formed in the middle zone of ear (cob, head, etc.). Using for sowing seeds obtained after this selection you will annually receive a harmonious shoots, even crop ripening and its increase up to 40%. At the same time CAD separator produces clean grain, healthy seed material by effectively taking away friable and infected seeds, which lose their weight because of infection, thus reducing the sowing quality of all material. Thus, thanks to CAD machine it is possible to separate grain acoording to its biological value. How to increase the yield on 5-10 centners per hectare? Regularly conducted researches on studying the sowing and yielding qualities of winter wheat seed, as well as 10 years of work experience of CAD separators on farms indicates stable guaranteed increase of yield of up to 40% or up to 10 c/ha. Highly accurate grain separation according to the specific weight makes it possible to pick out the most biologically valuable grain, capable to give the maximum germination and energy of sprouting.Seed obtained in this way gives is guaranteed increase of yield. Is it possible to separate wheat from barley? Yes, it is job of our equipment. Graincleaning machine CAD is able to sort the mixture of wheat and barley up to 60% in one pass. The exception is if the mixture was artificially mixed. In what cases is the CAD separator used in cereals production? CAD separator is used as dissemination on cereal plants, separating cereals according to size on 9 factions, at the same time removing shorts and crumbles, giving cereal an excellent salable condition. 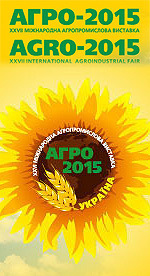 The unique technology and the separator itself are protected by Ukrainian and Russian patents, as well as international applications. What will be the damage of grain after separation on CAD machine? 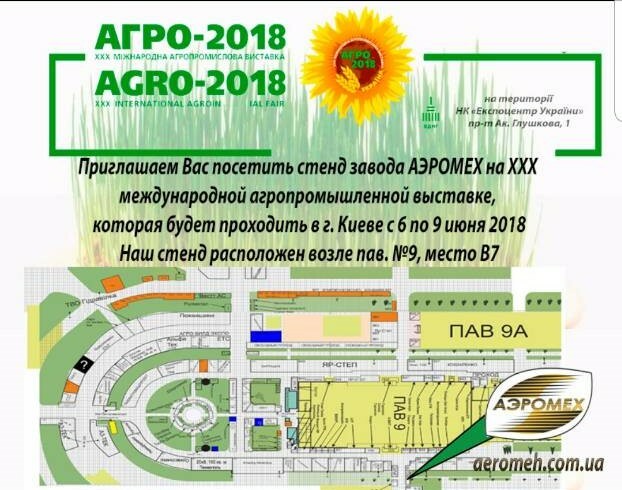 Thanks to sieveless the system of grain separation in the air flow there is no damage of grain (according to the results of periodic researches of CAD separator in Pogorelov Institute). CAD separators have relatively low power consumption. For example, CAD-4 consumes 1,8 kW/hour and operates on 220 Volts, and the machine with maximum productivity of 150 tons/hour consumes 31 kW/hour. 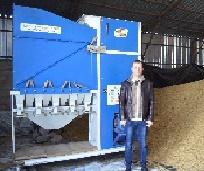 The advantages of this effective technology of sowing material preparation - unique energy-saving opportunities of CAD separator, which make it possible to get high quality seed material with the least expenses. Our grain separators are economical in energy consumption and provide the manufacturer an opportunity to significantly reduce and optimize technological costs. Is this agricultural machinery: grain machine, grain equipment, machine for seed sorting, machine for grain cleaning, equipment for grain processing, grain treatment, sorting machine, grain cleaning machine and CAD separator — all the same? Yes. It is all the same. There is a great number of various seed cleaning machines: sieves, trieurs, vibroseparators, hydroseparators, vibropneumosorting tables,photoseparators, reflective tables, friction machines, magnetic, electrical, etc., and all of them are very well advertised. How to make a choice? Consult our managers and dealers to get contact detailes of the farms, which work on CAD separators. After talking with them you will be able to make a conclusion. Preliminary cleaning - the clearing after which the grain heap looses at least 50% of weed impurities. After the primary grain cleaning is allowed content of impurities up to 10% (including weed up to 3%). Humidity of grain material that is to be cleaned- up to ... % ? Usually (standard machines) up to 16 % - our up to 46 %. Productivity at maximum humidity of grain? The productivity does not practically depend on humidity. Performance mainly depends on kind of quality of separation you want to get. The higher is quality, the lower is performance. If humidity increases, decreases the flowability of the material, then performance decreases proportionally. Levels of noise and dust in operator's zone? Noise level complies with requirements and standards for machines of this class. There is a certificate. On separator the dustiness is close to zero. Loss of grain of the main crop to waste % ? There is no loss !!! Limits of the supply voltage? Is there any stabilization of the air flow in the conditions of the floating voltage that is usual for rural substations. Fluctuations in electric mains should not exceed the requirements of the electric motors of АИР type. There is no need in stabilization of the air flow because the machine uses asynchronous electric motors. What is the degree of complexity of separator settings? Setting of separator is simple. Operator of average qualification easily masters separation modes depending on the task. Changing separator operation from one crop to another takes 20 min. and one operator. Is narrow specialization of separator possible on impoving the part of grain in higher class? Are there any experience, documents, technologies working in real conditions? Variation of grain humidity? Does this factor affect quality of separation? There are no principal requirements. For example, take grain from rain and submit it together with dry grain from another pile. That means that the main requirement for humidity: submitted grain should be taken from one pile. What materials besides grain can be separated? Any friable materials, granite crumbs, crushed stone, sand, sawdust, etc. Does the separator separate grain mixtures? Separates, in 8 cases out of 10 if grain mixtures differ significantly according to the specific weight. Warranty service of separator is 12 months from the date of commissioning. The lack of drive mechanisms, except standard fan, as well as replaceable items and lubrication points provide high durability and reliability in operation. Is it difficult to clean the separator after changing from one crop to another? It takes 15-20 minutes to clean the separator. Are there any expensive spare parts? No. There are no expensive spare parts. Where can the separator be installed? The separator can work independently, in combination with equipment, transporting initial material, and is installed in technological lines of post-harvest processing of grain and grain heap (grain-cleaners equipment and grain-cleaning drying complexes), as well as in warehouses in special lines in all agricultural zones. It is possible to install the separator in hangar, on a trailer of a car. If you have not found answer to your question, we are always ready to respond in detail to any of your questions - Ask a question to SPC "Aeromeh" Ltd.